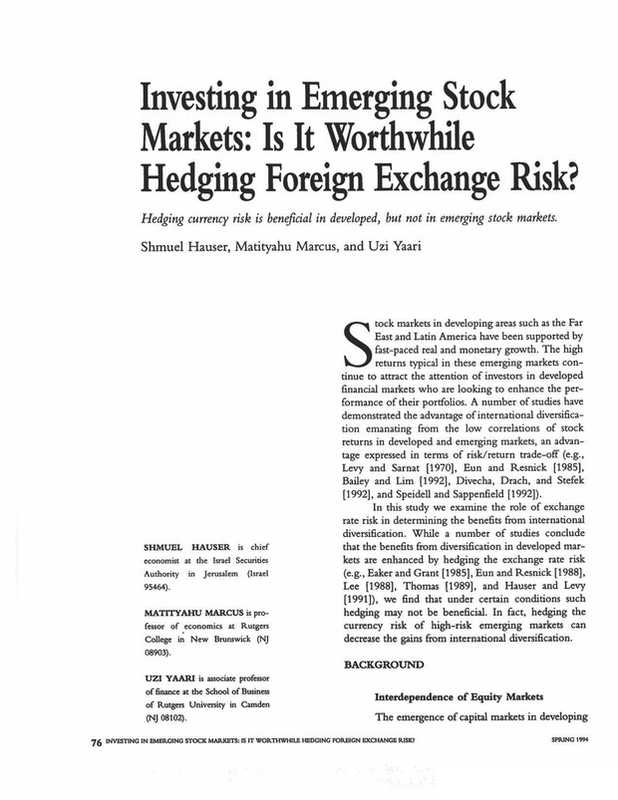 Is it worthwhile hedging foreign exchange risk? Chief Economist at the Israel Securities Authority in Jerusalem (Israel 95464). Professor of Economics at Rutgers College in New Brunswick (NJ 08903). Associate Professor of Finance at the School of Business of Rutgers University in Camden (NJ 08102).